The research mission of the Faculty is to enhance the health and well-being of the people of Canada and the world through research, research education and the translation of new knowledge into practice. This mission engages all three schools in the Faculty: The School of Medicine, the School of Nursing, and the School of Rehabilitation Therapy, as well as our three fully affiliated hospitals: Kingston General Hospital, Hotel Dieu Hospital and Providence Care. Research funding to the FHS and our partner hospitals in Fiscal Year 2015 was approximately $90.6 million. Research within the FHS extends from discovery in the basic biomedical sciences, through clinical research, validation and the development of evidence based guidelines, to population and health services research and health policy development. 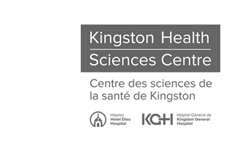 Information about the research programs of individual departments in the School of Medicine can be accessed under Departmental Research, through the websites of the School of Nursing and the School of Rehabilitation Therapy and the research website of Kingston General Hospital. In addition to discipline based research, the FHS has fostered the development of multidisciplinary thematic research programs that encourages interdisciplinary approaches to research. Click on the link to Research Centres, Groups and Units for more details on the multidisciplinary research programs within the FHS. Another priority of the FHS research strategic plan has been to expand and enhance research education and training programs. This has occurred in a number of ways and at several levels, perhaps most notably with our success in obtaining highly competitive strategic training grants from CIHR and NSERC. 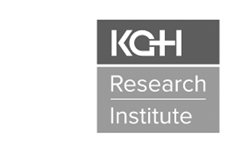 Over the last 7 years, research groups located in the FHS have been awarded four Strategic Training Initiative in Health Research (STIHR) grants from CIHR; two to the Queen’s Cancer Research Institute and one each to the Gastrointestinal Diseases Research Unit and the Protein Function and Discovery Group. In addition, the Human Mobility Research Centre was also awarded a NSERC Collaborative Research and Training Experience (CREATE) grant.